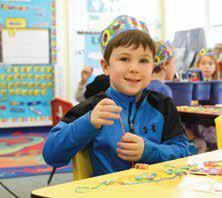 Kindergarten builds on a child’s pre-school or Transition experience as a foundation for the lower school experience. Implementing a core curriculum of language arts, math, science, and social skills, teachers focus on reading readiness. A great education is based on a strong foundation built in the lower grades. In our Lower School, you will find enthusiastic, certified teachers employing innovative techniques and challenging curricula. 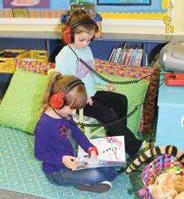 Each classroom offers a warm and nurturing environment. Small class sizes allow teachers to provide an accelerated program of study. The Lower School curriculum centers on the development of language, math, science, and social studies skills. Students learn study strategies and time management. They work independently and collaboratively while learning how to be responsible and organized. Resource classes afford students the opportunity to explore the arts, physical education, computer skills, foreign languages, and character education. On campus tutoring (at an additional fee) is available for students who need extra support. Language skills instruction emphasizes reading comprehension, grammar, vocabulary development, composition, Steck-Vaughn spelling curriculum, and Handwriting without Tears for manuscript and cursive instruction. Scott Foresman math curriculum promotes progressively more complex math skills appropriate for each grade level including basic computational skills along with measurement (time, money, standard, metric), fractions, geometry, and statistics. 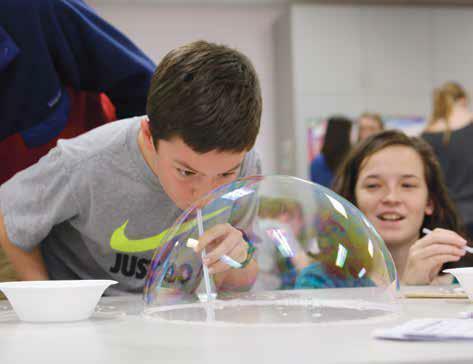 Harcourt Science program introduces concepts in life, earth, and physical science. 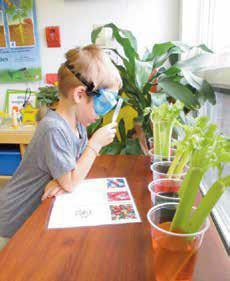 Science resource instruction offers a weekly science lab employing a “hands-on” interactive approach with students designing, conducting, and evaluating simple experiments. Social Studies introduces students to the study of family, neighborhoods, local communities, holidays, and historical figures (through grade three). History instruction begins in fourth grade with North Carolina and American history being introduced. Resource classes enhance core studies and include: library skills, physical education, character education, computer science, art, choral music, Suzuki Strings, theatre (5th Grade), dance (5th Grade), and Spanish or French. Extracurricular activities become available including Elementary Chorus (2nd-5th grade), the school musical (when age appropriate roles are available), private instruction by faculty or students in piano, guitar, and strings (additional fees apply). Arendell Parrott Academy’s Middle School program builds on the foundation established in the Lower School and equips students for success in the Upper School and beyond. As your child grows and develops into a teenager, the Middle School environment evolves. 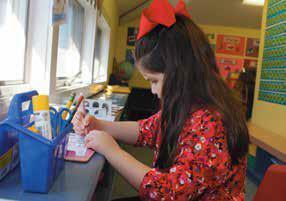 Students gain more independence and responsibility. Our students welcome new academic challenges, deliver public speeches, test new athletic skills, and audition for school performances. We encourage thoughtful boldness in our students while they explore new possibilities in a safe, encouraging environment. Opportunities to pursue personal interests become available through the introduction of electives and expanded extracurricular activities. Students can try a variety of activities and find true interests. They can participate in clubs, athletics (beginning in 7th grade), student government, and arts organizations like the dance ensemble, theatre, and orchestra. Academic teams including Science Olympiad, Math Counts, and Battle of the Books allow students to compete and explore in-depth areas of study they may have only touched on in the classroom. Students develop leadership skills by election to the Middle School Council or by earning membership in the National Junior Honor Society. A full-time advisor helps guide your child through the transitional years of Middle School academics and activities. Study skills, test-taking tools and strategies, and peer relationship building are all topics our advisor addresses. Group discussions on social issues, such as peer pressure and bullying, are covered through the year. Outside speakers are invited to speak on selected topics, such as Internet safety and online digital citizenship. The advisor advocates for students, promotes social success, and mediates conflict resolution as needed. English focuses on literature, reading comprehension, applied grammar, vocabulary development, and writing. Latin instruction is offered in seventh and eighth grades. Mathematics affords students the opportunity to pursue an accelerated math sequence; sixth graders study math concepts and applications preparing them for either pre-algebra or algebra in seventh grade, followed by algebra or geometry in eighth grade. 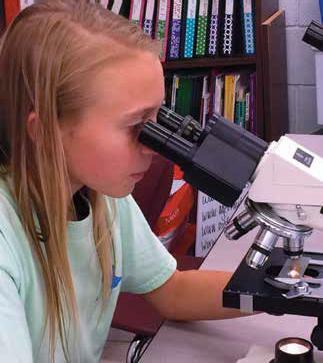 Science uses a two year unit study program (sixth and seventh grade) stressing the importance of student inquiry, exploration, and investigation; disciplines of chemistry, physics, biology, and earth science are explored; eighth graders study an accelerated physical science curriculum. History provides emphasis for middle school social studies with world history studied in both sixth and seventh grade, while North Carolina history provides the focus for eighth grade. Electives available include physical education, art, theatre, orchestra, chorus, dance, guitar, and study hall. Performance opportunities available include school and community events like the Academy’s spring musical. Private instruction continues to be available in piano, guitar, voice, and strings for an additional fee. 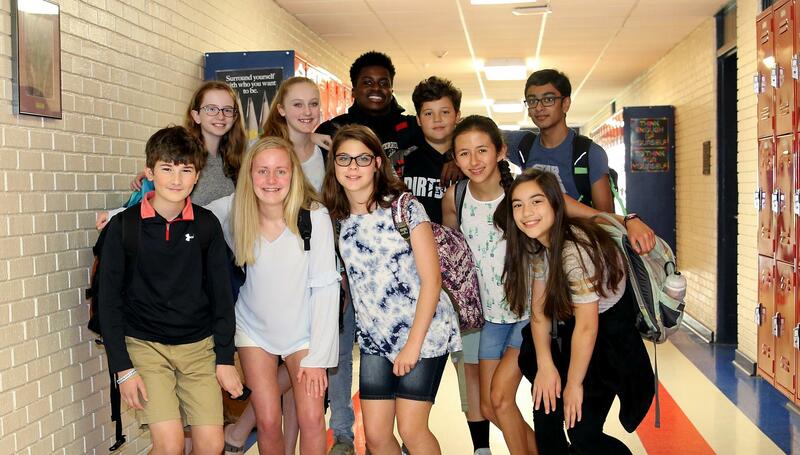 Field trips to Myrtle Beach (sixth grade), Washington, D.C. (seventh grade), and Camp Cheerio (eighth grade) give students opportunities to develop independence and form close bonds with classmates. At Parrott Academy, we guide your child to exciting new discoveries and prepare students to strike out on their own by offering opportunities to excel on the playing fields, in the arts, and in the classroom. We encourage them to expand their world view and develop an understanding of their place in the community through service initiatives. We encourage them to pursue their passions and to find their place in the world. We set high expectations for academic achievement. Our faculty focuses on ensuring that every Upper School student is well prepared to attend the college or university he or she chooses. We use the UNC university system’s admission requirements as a guideline for our graduation requirements. Our school profile, included in the admissions packet and sent with every college application, offers in-depth information about curriculum offerings at the Academy. The core curriculum continues to focus on English, math, science, social studies, and foreign languages. Both honors level and Advanced Placement (AP) level courses are offered in each discipline. Guided independent study and online courses are offered for the highly motivated and academically prepared student. Students should plan on taking academic and other electives beyond those required for graduation and which are appropriate for their future education plans. To aid in this process, we offer Upper School guidance and college advising. Our guidance program is designed to assist students as they grow from tentative ninth graders into confident young adults ready to venture into their futures. Students are encouraged to link high school and post–secondary education to future career options. 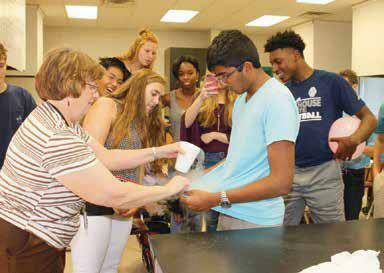 Information on enrichment opportunities, such as Summer Ventures in science and mathematics, Governor’s School, and other opportunities, is made available to students. Our college advising helps students identify colleges and universities that best match each individual’s needs and abilities. Beginning in freshman year, we assist our students on their journey of self–discovery. By senior year, finding the right “college fit” is hopefully more thrilling than stressful. Sophomore year, we make college campus visits as a class and we use this time to coach students on how to visit a college. Our advisors partner with our faculty and coaches to help our students pursue an appropriate academic program and to develop special talents or interests beyond the classroom, knowing that each new experience helps them learn more about themselves. We offer various opportunities for travel in the Upper School (our students have visited many countries on four continents including Ecuador, Peru, Spain, Italy, France, England, and China to name a few) through our SERV organization and academic departments. Our goal is to empower our students to be the best they can be. We enjoy helping students find meaningful volunteer experiences, summer enrichment, leadership opportunities, and other activities to help them discover their talents and passions. Additional programs, campus speakers, and college tours help students and their parents gain insight into choosing the right college. The four–year cohesive effort involving students, parents, faculty, advisors, and counselors has resulted in over ninety–nine percent of Academy graduates pursuing education beyond the secondary level. The Academy offers an extensive assortment of extracurricular activities in the arts, athletics, academic teams, student government, and service. A complete list of clubs and organizations is available on our website. Our faculty focuses on ensuring every student is well prepared for college and beyond. 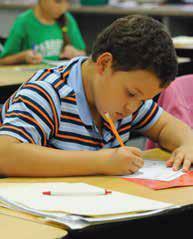 The core curriculum centers on English, math, science, social studies, and foreign languages. Honors and Advanced Placement level courses are offered, as listed in the school profile. Guidance and college advising faculty work cohesively to guide students’ course selection, activity choices, and summer enrichment opportunities throughout all four years. College visits in the sophomore year are made with the entire class to coach students on how to visit a campus. A four-year coordinated effort by students, parents, faculty, advisors, and counselors results in over 99% of our alumni pursuing education beyond the secondary level. Extensive extracurricular activities are offered in academics, arts, athletics, leadership, and service.